There are several tests that can help diagnose blood vessel problems. The ankle-brachial pressure index test compares the blood pressure in your lower ankle with the blood pressure in your arm. They should be about the same. If the blood pressure in your leg is lower than in your arm, it can be a sign of problems with the blood vessels in your leg. This is used to see the inside of your blood vessels and organs. A special dye is injected into a vein. Then a scanner is used to look at the blood flow through your arteries and show any narrowing or blockages. 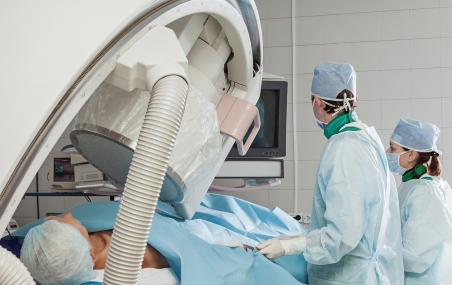 magnetic resonance angiography (MRA) uses an MRI scanner. Doctors can use the D-dimer blood test to help diagnose if you have a blood clot (a DVT). In some circumstances, a negative result can rule out a blood clot. But a positive D-dimer result can have other causes, such as pregnancy or an infection, so more testing is needed. Doppler ultrasound looks at the blood flow through your arteries and veins. A doppler ultrasound produces images of the blood flow as well as recording the sound of the blood flowing. Duplex ultrasound is a safe and painless test that uses sound waves to look at blood vessels and blood flow. This can help identify any blockages or clots. renal artery duplex scan, which looks at the arteries in your kidneys to make sure there are no blockages. In a venogram, a special dye is injected into your veins and X-rays are used to show how the blood flows through your veins.